Our New Homes department operates from Romney House, Hobbs Parker’s Head Office, in Ashford and is headed up by Greg Wood. 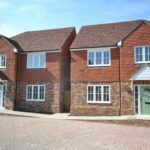 Covering most of Kent but specialising in the towns of Ashford, Tenterden and the surrounding villages, our results speak for themselves. Our successful New Homes business has been built on two solid foundations; Firstly, our hugely successful and long established Estate Agency business, dating back to 1850, is highly regarded as a leader in not only industry-leading marketing but also innovation. Secondly, our in-house symbiotic relationship with our Planning Consultancy team. 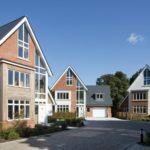 Having a thorough understanding of the New Homes business from the grassroots, all the way to completion, ensures we offer the best advice to developers. Over the last 10 years, Hobbs Parker have assisted developers in achieving the very best prices for an eclectic selection of developments. 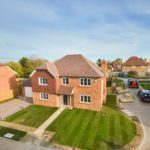 Ashford Homes, The Villages and rural Country Houses have acted as appropriate marketing brands for a variety of new properties. As an independent agent with heritage dating back to 1858, Hobbs Parker is able to share decades of expertise and experience with their clients. Four of the directors in the business work very much at the coal face; Between them, Alex Davies, Bill Lightfoot, James Hickman and Simon Godfrey have a combined Estate Agency experience in excess of 100 years. 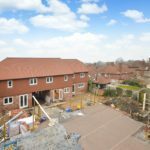 Bill Lightfoot, leads our Development Consultancy is excellently placed to advise on site design and layout, ensuring the highest GDV is achieved. At the other end of the spectrum, Alex Davies, Managing Director of the Estate Agency business has a wealth of experience in the Country Homes market. As a by-product of working in such a highly competitive area of the market, Alex has a sharp eye for detail and is well placed to offer excellent advice with a view to providing the most highly desirable property possible. In addition to our directors, Hobbs Parker boasts a team of 20 or so estate agents, letting agents and valuers. With considerable experience and genuine passion for selling, we are confident that our service standards are unrivalled in the local market. When it comes to New Homes, Hobbs Parker has a number of different marketing packages available. 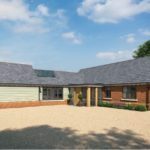 Whether you are looking to sell a single new home or require assistance with a larger site, our involvement can be bespoke to ensure the very best exposure is generated. Our involvement ranges from arm’s length digital marketing and online portal management to fully staffed on-site sales offices and everything in-between. 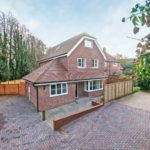 From the embryonic stages of developing to having properties to sell now, we would be delighted to meet with you and discuss how we could assist. In the first instance, please contact Greg Wood, Head of New Business.